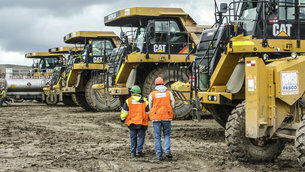 Like astronauts, heavy-equipment operators in remote mines can benefit from long-distance monitoring using space technology. 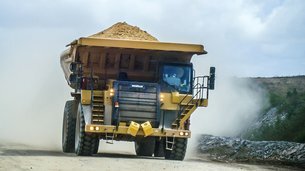 An ESA spin-off company has raised safety for dozens of drivers at the El Brocal mine in Peru by predicting their fatigue.In far-flung mining operations around the world, drivers typically work 12-hour shifts, driving trucks and loaders of 160–180 tonnes – the size of a small apartment block. Combine the gruelling schedule with even a small mistake, and you have a recipe for disaster. “Sixty-five percent of serious accidents are caused by fatigue,” says Jean Verhardt, founder and CEO of EstrellaSat. With the help of ESA’s Business Incubation Centre in Noordwijk, the Netherlands, Jean has developed a way to detect the early signs of fatigue. Sensitive gyroscopes developed for satellites measure tiny changes in the vehicle’s motion, analysing patterns in braking, steering and acceleration. But Jean still needed a way to link the fatigue sensors to supervisors who could decide when a driver has had enough. The big obstacle: many mines sit in remote areas without cell phone, or 3G, coverage. Jean got support from ESA’s ESTEC space research and technology centre to develop a way to link the motion sensors on the vehicles to remote offices via wifi and satellite.